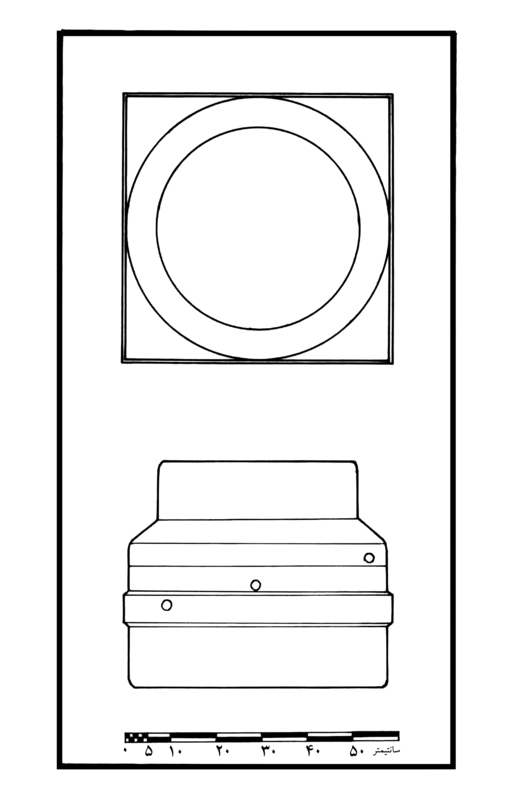 Column base or pedestal of milky-white limestone. Rīšahr (Persian Gulf coast), Būšehr province, Iran. Hellenistic or Parthian period (ca. 330 BC - AD 224)? Chance find, 2003. Bušehr Museum. H. 0.50 m, W. 0.57 m, Th. 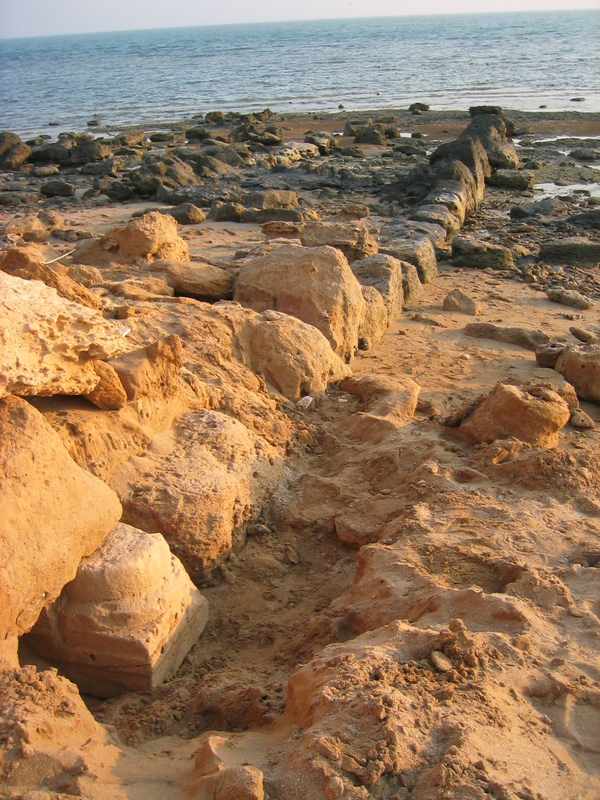 0.57 m.
The stone was exposed by sea erosion. It was embedded as building material in a ruined construction that lies half-buried on the beach of Rīšahr (Attai'i 1384/2005). The clearly visible toothed-chisel marks on the surface of the piece could indicate that it was unfinished (Callieri 2007: 96). In his initial publication of the find, Mohammad Taqi Atāyi (Attai'i 1384/2005: 87) suggested that we might be dealing with a work in the hellenistic tradition. This suggestion invites a special interest, in view of current speculation that the still elusive hellenistic city of Antioch in Persis could be located, like Rīšahr, in the area of Būšehr. The interpretation and dating of the find are not as straightforward, however, as one would have desired. Considered by Atāyi to be appropriate for a column base, the form could equally evoke, in the opinion of Pierfrancesco Callieri (2007: 96-97), the upper part of a type of column-pedestal that was common in the Mediterranean region during the Roman Imperial period. Pottery, collected from the section of the construction in which the base or pedestal was embedded, is estimated to date the find context in the Seleucid/early Parthian period (survey of Mohammad Taqi Atāyi on the behalf of the Pārseh-Pasārgād Research Foundation, 2003; Attai'i 1384/2005: 87, pls. 1-3). Sherds obtained from the same general area during earlier surveys would point in particular, as Callieri recalls, to the Parthian and Sasanian periods, or between the first and fifth centuries AD (Whitehouse and Williamson 1973: 38-39; Whitcomb 1987: 317-319). 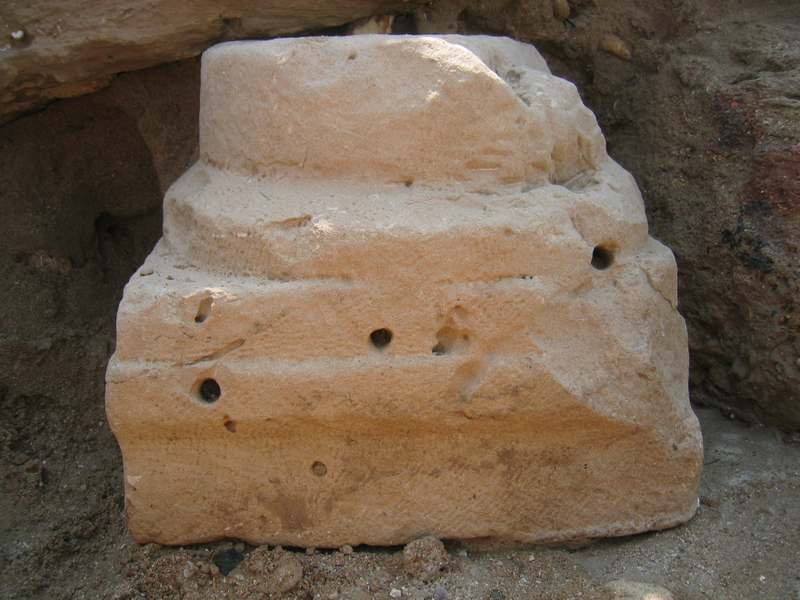 In the Iranian archaeological record, a parallel to the Rīšahr find is provided by a closely similar artifact of light grey limestone recovered by Ehsān Yaghmāee from the vicinity of the Achaemenid site of Gachgarān (Central Mamasanī district of Fārs) and interpreted by this same scholar as a column base (Yaghmāee 2006/1385: 35, pl. 4, information and copy of publication kindly provided by Mohammad Taqi Atāyi). Callieri, P. 2007. L'archéologie du Fārs à l'époque hellénistique. Quatre leçons au Collège de France, 8, 15, 22 et 29 mars 2007. Persika 11. Paris. Whitcomb, D. 1987. 'Bushire and the Angali Canal.' Mesopotamia 22: 311-336. Whitehouse, D. and Williamson, A. 1973. 'Sasanian maritime trade.' Iran 11: 29-49. Yaghmāee, E. 1385/2006. 'Čand manzelgāh-e rāh-e šāhī-ye hakhāmanešī: az Nūrābād-e Mamasanī tā Arğān-e Behbahān' [‘Some Achaemenid Royal Road stations: from Nūrābād-e Mamasanī to Arğān-e Behbahān']. Bāstānpazhuhi 2: 32-49.